Immerse yourself on a luxury wellness retreat to rejuvenate your mind, body and spirit. This exotic getaway will provide the tools and space for you to relax your mind, revitalize your spirit and get your body moving toward being in the best shape of your life. 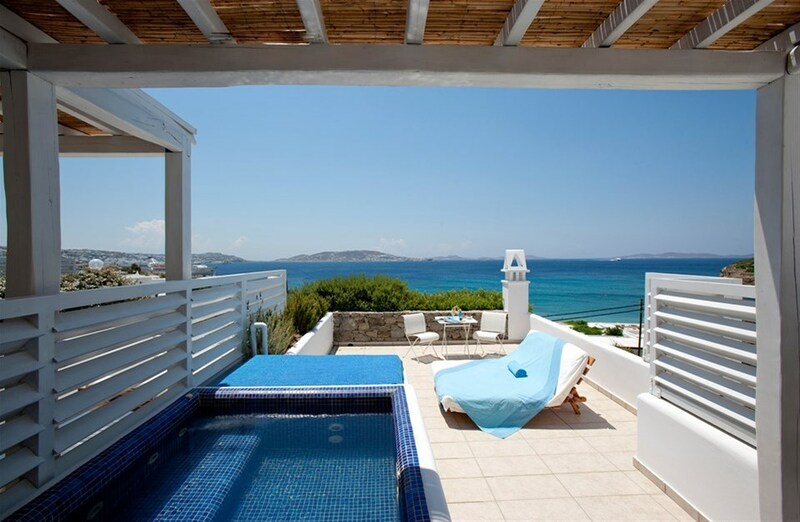 Spend 6 days and 5 nights enhancing your health and taking in the sights of Mykonos at the beautiful Grace Hotel. Enjoy luxury accommodations & amenities and head home with the tools and techniques you need to maintain your new-found wellness and keep glowing from the inside out. Having a fitness routine at home is great. Meal planning, meal prepping and choosing healthy foods is important. But taking time for self- care and looking deeper into self is necessary, not only to recharge, but to grow as a person and constantly be your best self. Let’s be honest, that sounds beautiful, but in our busy lives its not always possible to do all of these things all the time. So, sometimes we must take time to slow down, peel back the layers, pare down the doing and slip away on a fabulous Fit Body & Mind Retreat. Go Deeper into your nutrition, learn what might be sabotaging your results and what you can do to fuel your body for the results you've always wanted. Learn the power of a positive mindset in Autumn’s lecture on embracing "failures" and seeing them for the gifts that they truly are. Have private 1-1 health coaching with Autumn to get the help you want in a beautiful setting. Take what you learn back home and begin to create your best, healthiest life. Enjoy daily opportunities for self-care and meditation designed to set your mind up for a positive day or unwind you at the end of a long day. * Email info@revampretreats.com if you would like join the waitlist! Each Deluxe Room features a king size bed (or two twin beds for those sharing), en suite bathrooms with oversized showers, and balconies with views of the beach of Agios Stefanos, the sunset, the town of Mykonos and the historical island of Delos. Space is limited so we can create an intimate group! Email info@revampretreats.com for more info or text/call 702-321-6769. Super Trainer and nutrition expert Autumn Calabrese is the creator of 80 Day Obsession(R), the biggest launch in Beachbody Network history and the most- streamed launch ever on Beachbody on Demand with almost 10 Million streams in the first 2 months. She was also the first trainer ever to stream live workouts while they were being filmed with her prep program A Little Obsessed. Her collaboration with the company started in 2014 with the exercise and color-coded portion control container phenomenon 21 Day Fix(r) and then 21 Day Fix EXTREME(r), which led to the best selling cookbook FIXATE(R) which sold almost 500,000 copies in its first year in print. This lead to a cooking show of the same name on Beachbody On Demand with her brother, professional chef Bobby Calabrese. Autumn also created the cardio-dance workout, Country Heat(tm) and collaborated with bodybuilder Sagi Kalev on “The Master's Hammer and Chisel(tm). An exclusive boutique hotel in Mykonos, Grace is located just north of Mykonos town, with a sea view above the sandy and protected beach of Agios Stefanos. Guests are treated to an ideal setting, comprising luxurious facilities and warm hospitality for a unique hotel experience and a relaxed and pampered Mykonian island holiday. The graceful coexistence of traditional architectural elements and local craftsmanship with modern facilities and simple but elegant design touches is apparent throughout the property, representing Mykonos accommodation at its very best. 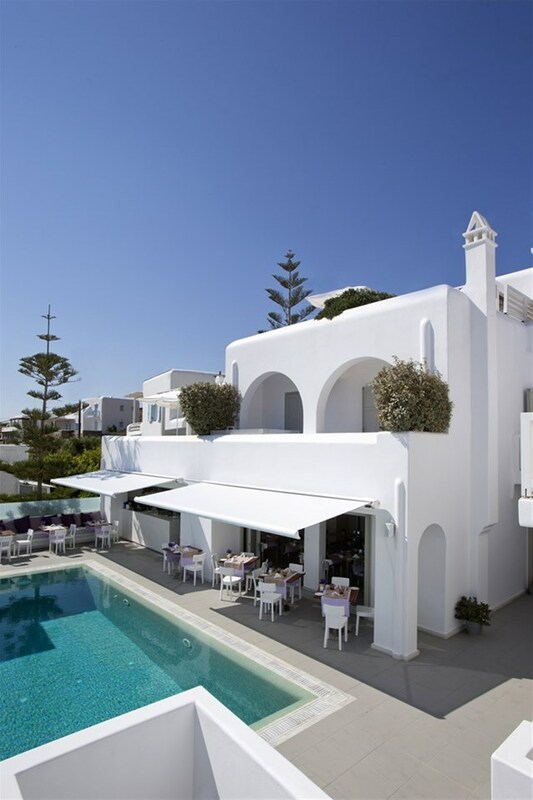 Grace Mykonos, a true sea view hotel, has also been recognized as a design hotel since its inception in 2007 when it won the prestigious European Hotel Design Award, beating many leading global brands. You will be fully taken care of while enjoying your luxury suite, fresh Mediterranean food, dipping in the pool, enjoying sea views, and basking in the Mykonian sunshine! 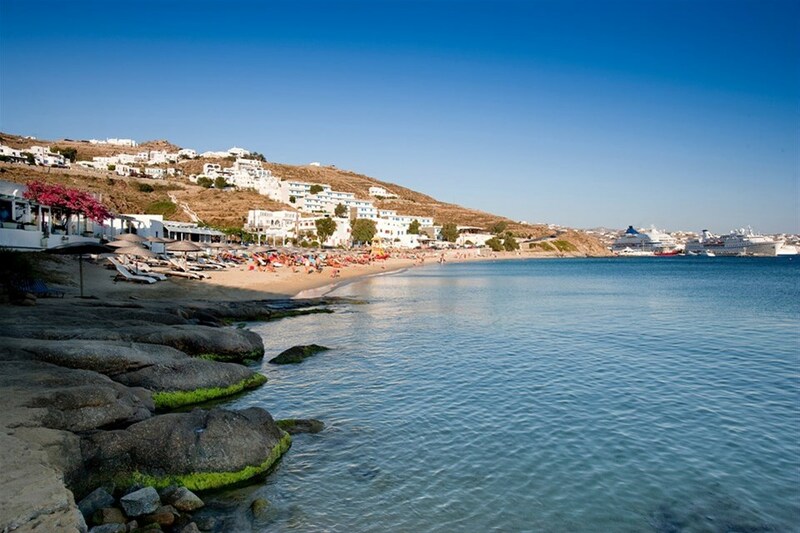 Mykonos Island has long been recognized as one of the most popular islands in Greece whilst its idyllic beaches, stunning sea views across the Aegean and pretty tavernas tucked away down quaint streets offer a truly unforgettable escape. Explore a lively cosmopolitan edge with buzzing nightlife, shops and plenty of sports activities. We welcome you to experience the vibrant island life while being pampered at a beautiful luxury hotel. You can fly into Mykonos Island National Airport (JMK) and we will set up transportation to the retreat center. Airport transportation is included if you arrive on the first day of retreat and depart on the last day. *It may be cheaper to fly into Athens (ATH) and then book a separate flight to Mykonos. Again, we are happy to help with this! Check in begins at 2:30pm on June 2nd and check out is at noon on June 7th. We recommend landing in Mykonos by 2pm on the 2nd and departing after 2pm on the 7th. We are happy to help you research the best flight options as well! EARLY BIRD PRICING UNTIL APRIL 15TH - SAVE $300!! Private Deluxe Room // $3,275 per person - sold out! * Email info@revampretreats.com if you would like to join the waitlist! HAVE ADDITIONAL QUESTIONS? REACH OUT AND WE WILL GET BACK TO YOU!